When you hear the phrase SloppySuccess do you immediately wonder why success would be sloppy? Do you think those two words should not be together? Or, do you understand what it means? Whenever you have been truly successful at something, was your journey a smooth one? Did everything go according to plan? Chances are it didn't and in fact in was a little bit... 'sloppy'. How does one succeed in something? 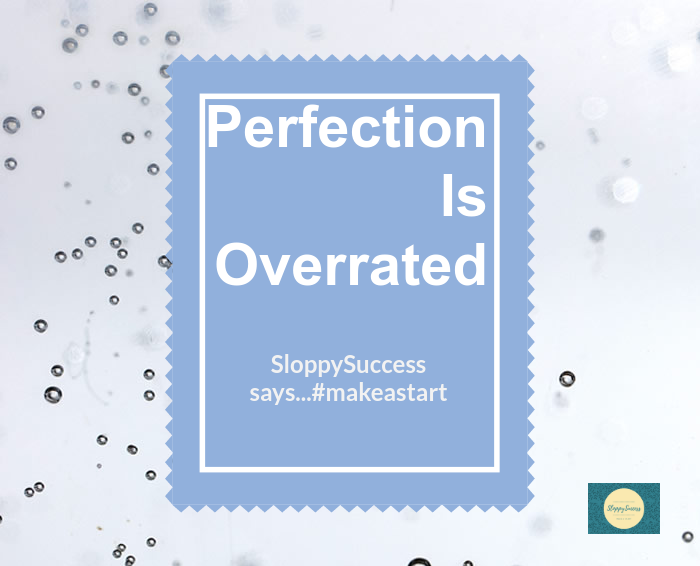 By making a start and that is exactly what SloppySuccess is all about. Do you want to start your own business? Do you want to learn a new skill? Do you dislike your current job and want to find a new one? No matter what it is you want, if you do not take that first step, you will not get to where you want to. By making a starting. No matter how small a start you make, the key is to take that first step. After all, you already know what you want and you know what you want to do. It doesn't matter where you start, so long as you #makeastart. The content on this site is going to be a mishmash of topics and themes and will from time to time explore concepts and ideas related to business, personal growth and life. It may at times seem like a journal where life observations are recorded and may even include some ranting. Along with this, there would be classes and other items to purchase - this keeps the site running - to enhance your knowledge. The class topics would increase over time and would be aimed at those in business. Some classes would be for those who are new to a concept and some would be for those who have some knowledge and just want to get a new or different perspective. Each class aims to explain things in a simple to understand way by giving easily relatable examples and a step by step explanation.